Would you rather have a dog at work or £1,000 pay rise? Would you rather have a dog at work or a £1,000 pay rise? 11% of people say they'd rather have the dog. 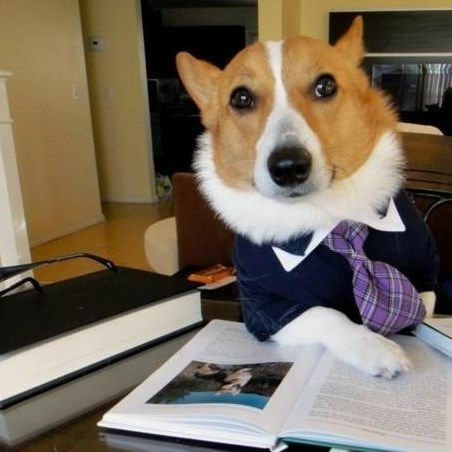 The results suggest pets in the office could make employees happier whilst saving employers money. A new survey asking over 1,000 people whether they'd rather a £1,000 increase to their annual salary, or have a dog at work reveals one in 10 would choose to forgo the money. The results suggest pets at work may make some employees happier than having more money. Tom Church, co-founder of LatestDeals.co.uk said, "I was talking with my team about getting a dog for the office. I asked them, would you rather have a £1,000 pay rise or get a dog? To my surprise, they said a dog." "I put the question to our community and it seems others feel the same way too. “One in 10 would be happier with a dog at work than a £1,000 pay rise." It was revealed at Christmas that over 60% of their pet lovers would be splashing out on presents and stocking for their dogs. Having a dog in the office could even save employers money. "From an employer's perspective, this could be a great money saving tactic. You save thousands in salaries and your staff are happier." However, it's clear that getting a furry friend for the office is not to everyone's tastes, 90% of respondents said they'd prefer the pay rise. "Still, the majority of people would rather a pay rise. “It's clear incomes are tight and this is what most need, however, there are some unexpected findings about this too." "You may think those who choose dog over money don't need the cash, that they're well off, rich, or just in a better financial situation." "But when you speak privately with participants it appears that's not the case, plus, many who chose a pay rise over a dog at work did so because they already had a pet dog at home." Gemma Louise, a participant, said, "Work can often be stressful and stroking fluffy animals is supposed to reduce those stress levels. Having a dog in the office might mean more productivity... and perhaps happier employees." Dogs are one of the UK’s most popular pets, as well as being the most expensive, so those who took a pay rise would be better off financially. Rhiannon Murray said, "We have cute lambs, chicks and ducklings at my work in the springtime so I'd rather the pay rise." Stephen Burgess said he'd prefer "a clone to go in for you", and Lori Andradas said she wanted "bunnies! Office bunnies!!!"